With Verbatim's Portable Power Packs, you can listen to more music, play more games, and watch more videos without worrying about running out of battery life! Use the Power Packs to charge a wide range of devices such as iPhones, iPods, eReaders and micro-USB charged phones or Bluetooth headsets. 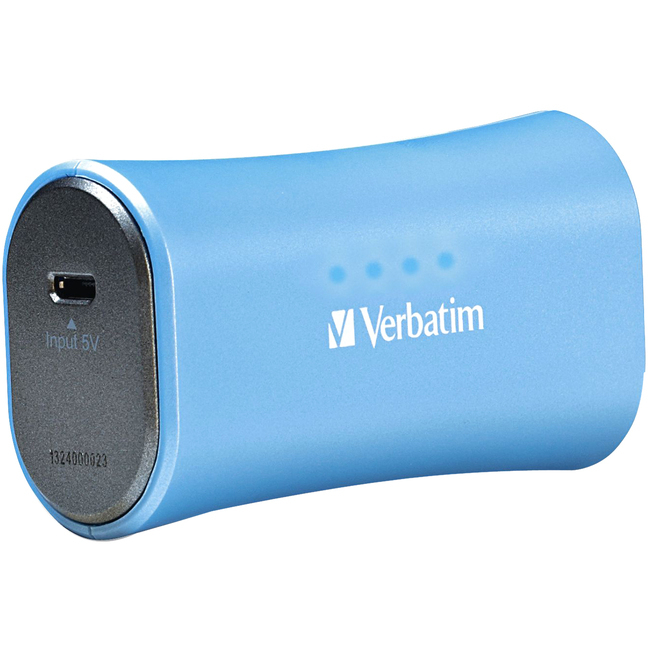 Available in a variety of sizes, styles and colors, Verbatim has the portable power solution for you. Keep on talking! An ideal solution for when you're on the go and need more power, fully charge your iPhone* or similar Smartphone (with an average 1400mAh battery). Charge it all! With a 2200mAh lithium-ion battery, the Portable Power Pack supports a wide range of devices such as iPhone, iPod, eReaders, Smartphones, wireless Bluetooth headsets and more.